Product No.B305. Our stainless steel poles offer outdoor spots fans the best option for a lightweight strong pole. The oxidized and painted surface, is created to protect the threaten of weathering and corrosion. Wrist strap is wide enough for extra support. Each pole comes with an optional mud disk for use on softer ground coverings so the poles won't sink. 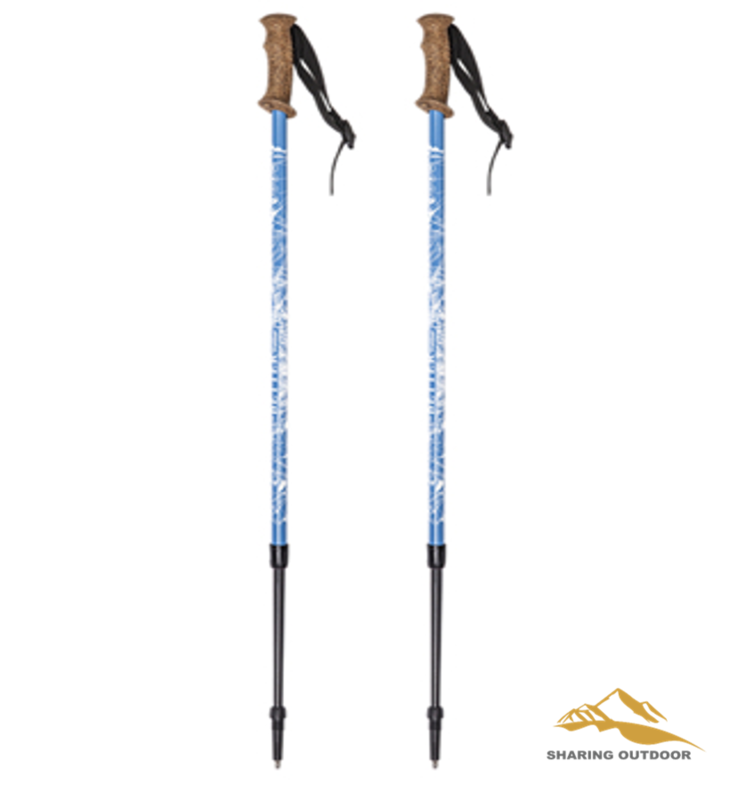 The poles also come with an adjustable wrist strap for easier hiking. Also, the pole is lightweight and customers have no need to worry about ache of the arms. If you place orders as soon as possible, We are sure that you will find it`s very attractive in your market. 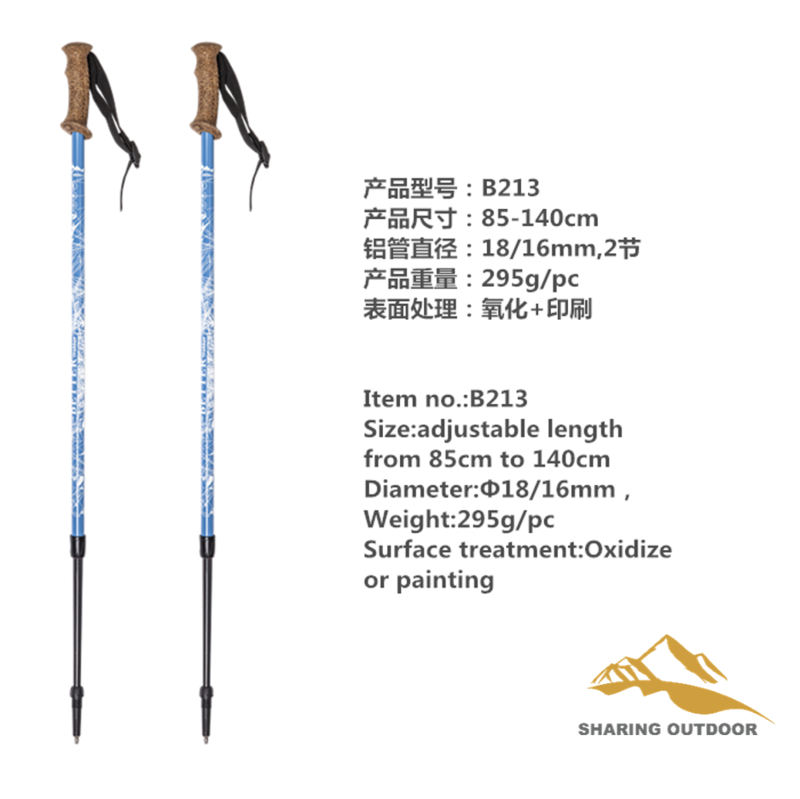 Looking for ideal Carbon Fiber Walking Sticks Manufacturer & supplier ? We have a wide selection at great prices to help you get creative. All the Carbon Fiber Travelling Sticks are quality guaranteed. 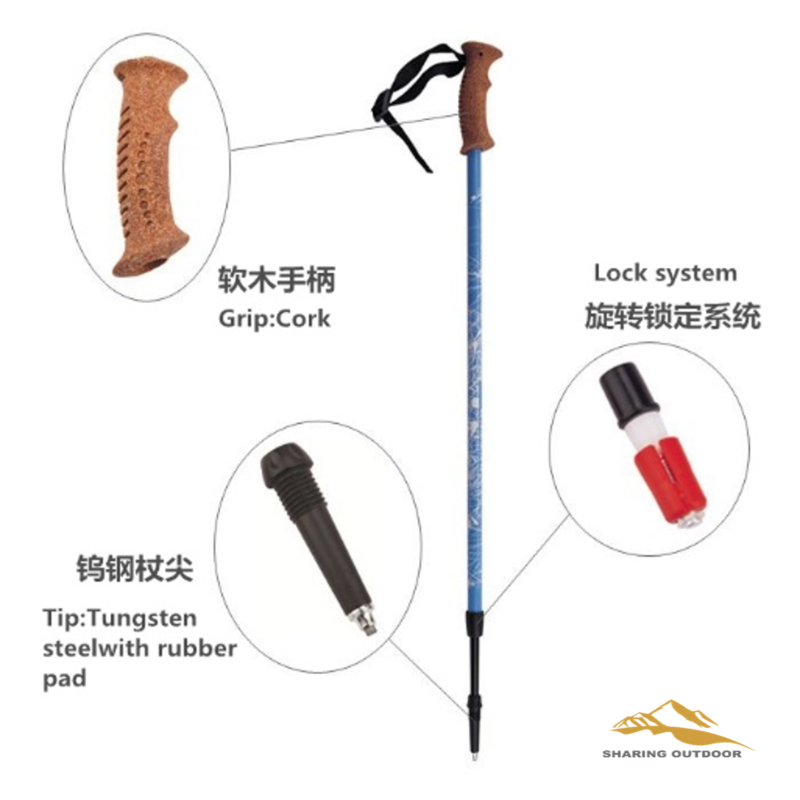 We are China Origin Factory of Aluminum Alloy Travelling Sticks. If you have any question, please feel free to contact us.